The Superstition Mountains Community Facilities District No. 1 (“the District”) was formed by the Apache Junction City Council in July 1992, pursuant to Title 48, Chapter 4, Article 6 of the Arizona Revised Statutes as a separate governmental entity from the City and is governed by an independent, voluntary, five member Board of Directors. 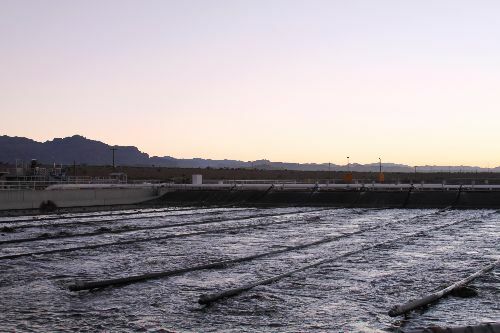 The District is an independent, public, non-profit utility developed solely for the benefit of its customers and the Apache Junction community to operate, and maintain a regional system for the collection, transport, and treatment of sewage from the properties existing within its boundaries. At its initial start-up in January 1996, the District’s 74 miles of collection system served slightly more than 1,000 customer connections within its approximately 17 square miles of Service Area. Today, it has grown to 110 miles of collection system serving slightly more than 6,500 customer connections within its expanded boundary that is more than twice its original size and is essentially the same as the boundary of the City of Apache Junction. In addition, the District owns a large pumping station and a 2.14 million gallon per day water reclamation facility off of South Ironwood Drive that is operated in its entirety by its employees with primary operational management by the District Manager.